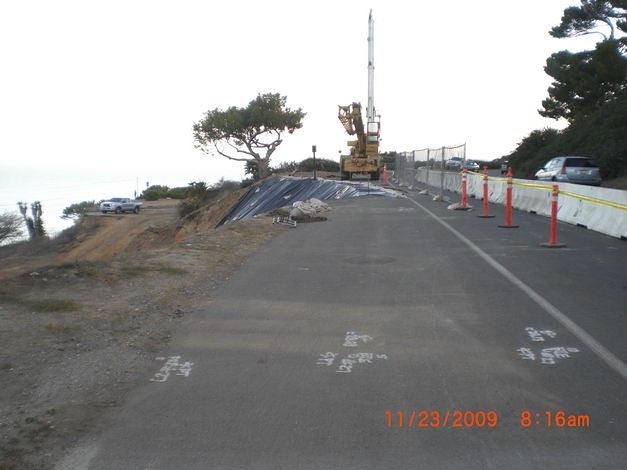 A portion of Palos Verdes Drive road was in danger of being shut down due to progressive movement of a large adjacent landslide. 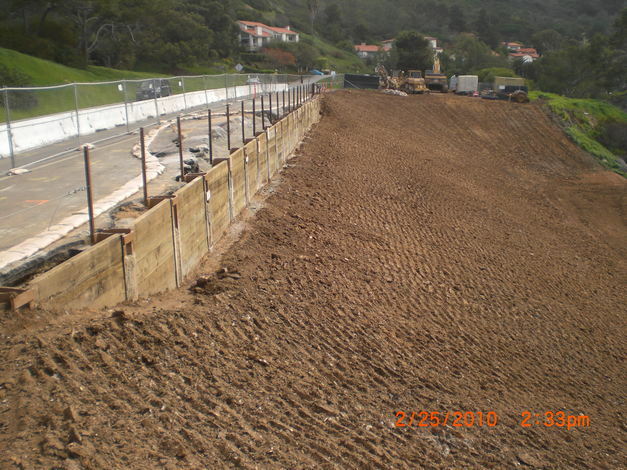 The GMU team analyzed historic slide movement data to determine the progression of the landslide over a 50 year design life. 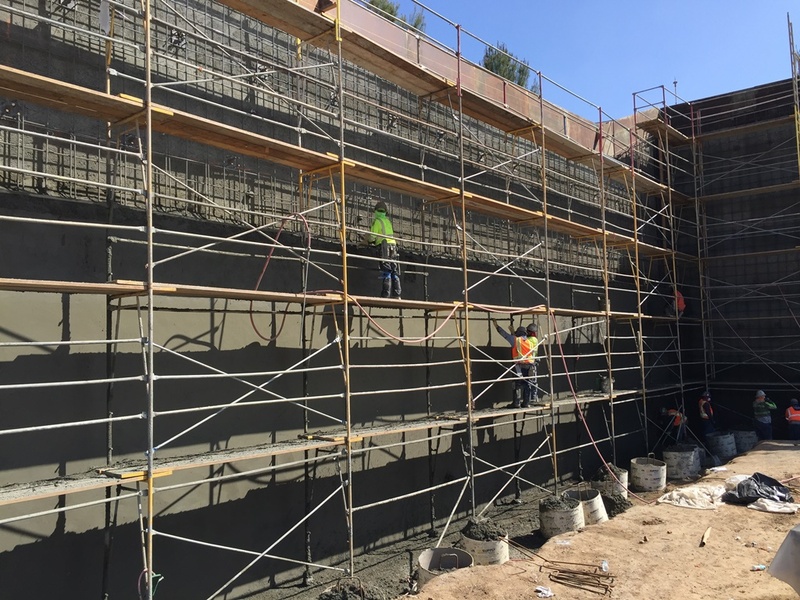 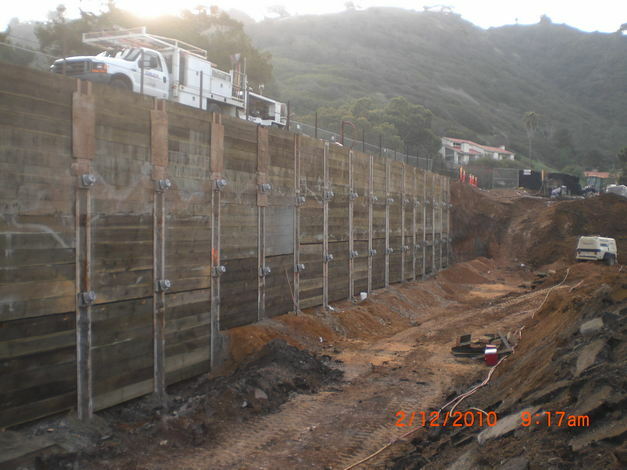 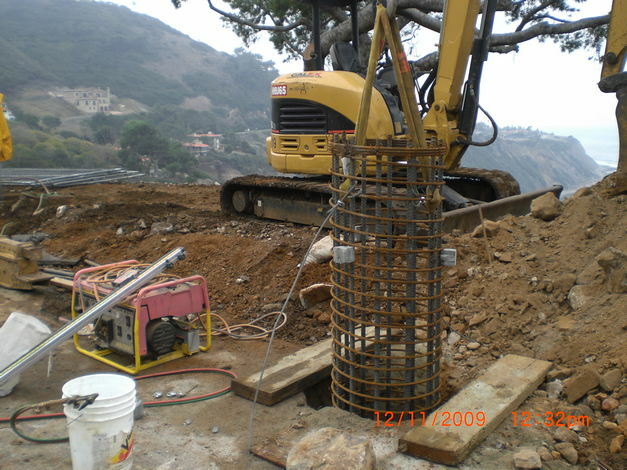 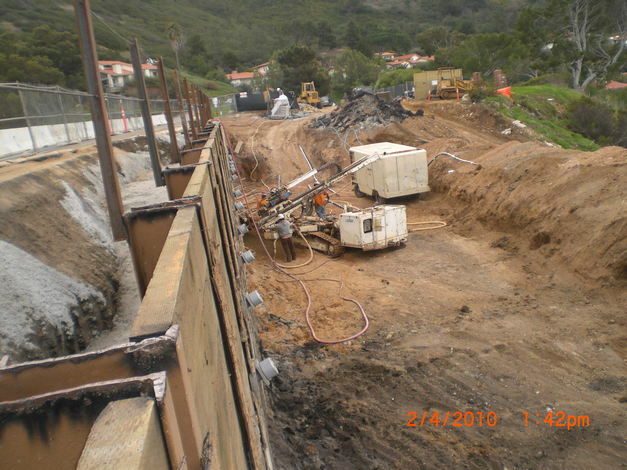 A multi-level tie-back caisson wall system with a unique welded c-channel design was selected to stabilize the roadway based on the 50 year movement projections. 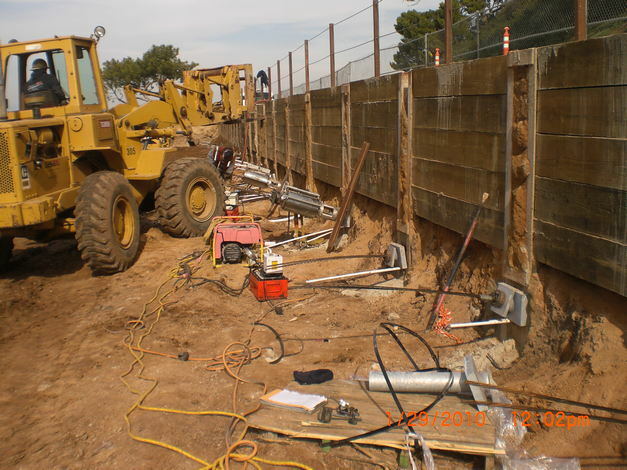 GMU acted as both geotechnical engineer and structural engineer for the project design. 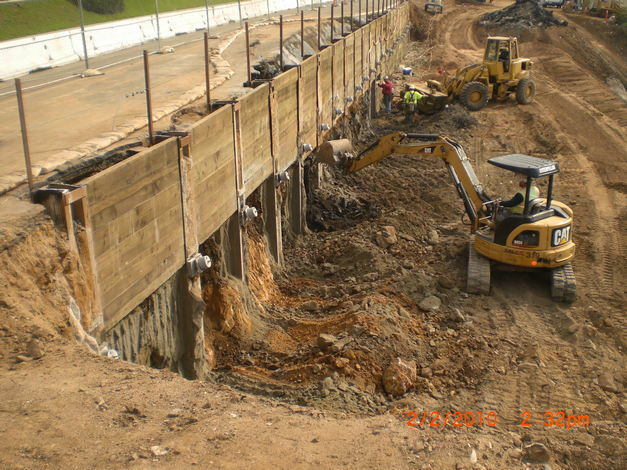 During construction, GMU provided soils and materials observation and testing during construction.